With double sided texture surfaces, premium exercise yoga mat comes with an excellent slip resistant advantage to prevent injuries. 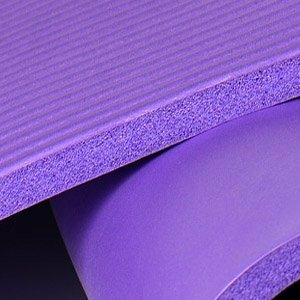 With high density foam NBR material, the 1/2'' thickness premium mat comfortably cushions spine, hips, knees and elbows on hard floors. A free yoga mat strap is included. Lightweight and portable, it is great for travel and easy to store. Yoga is a great way to relax and connect with your body. But if you are trying to get the most out of your stretches, performing them on bare flooring can be painful when your hands, knees and vertebrae press into the ground. Nalco Yoga Mat instantly adds comfort and support to your fitness routine, regardless of where you like to workout! Measuring 71"x24", the textured design grips a wide range of surfaces, providing you with safety, balance and traction. It is great for Pilates and other aerobic activities, but it is also useful for outdoor picnics, as bedding or as a play mat for children, teenagers and adults. If you are always on the go, our lightweight mat is the perfect travel companion. Included with your purchase is a convenient sling, which allows for effortless portability and storage. 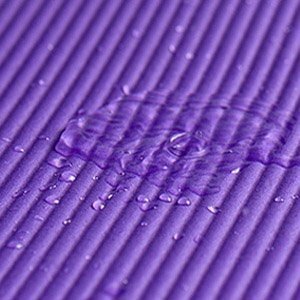 After use, you can quickly clean the mat with soapy water, patting dry with a towel. premium yoga accessories! High density NBR provides flexibility while remaining soft and waterproof. Why Choose Our Yoga Mat? ANTI-TEARING DESIGN - Prevent from falling apart due to the new design of integrated anti-tearing net. Prevent from falling apart due to the new design of integrated anti-tearing net. You can use this mat for strenuous yoga poses and exercise activities. 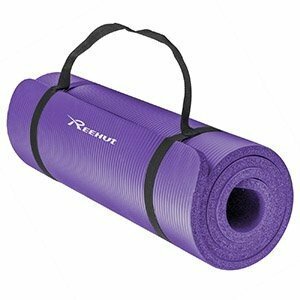 Non-toxic, soft and thick yoga mat will make working out the best part of your day! The secret is high density NBR, which offers excellent insulation and help block cold and dampness from the ground. If you’re always on the go, our lightweight pad is the perfect travel companion. Included with your purchase is a convenient sling, which allows for effortless portability and storage. 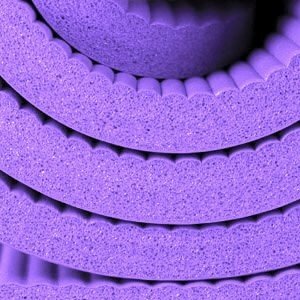 Easy-to-clean, durable and long lasting material - making it value for money because it's reusable. After use, you can quickly clean the mat with soapy water or diluted white vinegar, pat dry with a dry towel. Yoga Block (Dark Blue) 9"x6"x3"